If you like to do crafts, you know that proper storage is the key to keeping your craft materials ready to use when you need them. The correct size containers will ensure that your supplies stay in the proper condition without damage. Drawers, boxes and containers and racks will also help you organize your supplies so they will be easy to find. 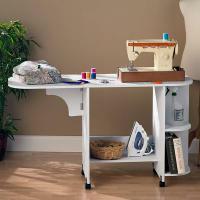 If you have a craft room, there are also many options of craft furniture that are great to keep your things organized and tidy. I love to scrap book. I keep my scissors and tools in one container and my paper in one and embellishments in another container. This way I can easily find the right things when I need them. I use a large rectangular container for my paper so the pages don’t bend or crease. It is important to choose the size and type of container, rack or furniture that works best for you and the type of supplies you have. Overall, organized craft materials will make you more productive. 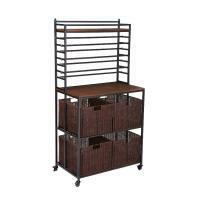 There are a large assortment of storage options out there to choose from. For more storage ideas visit http://www.cheapchicdecor.com/.